The innovative STANNAH-SOFIA-SL Sofia Stannah stairlifts is ideal for both straight and curved staircases. Stylish, practical and user-friendly the Sofia has been developed with one of Europe’s leading product design consultancies, Seymour Powell. With a comfortable and contemporary design it will not only transform your ability to get around your home but will allow you to do it in style. 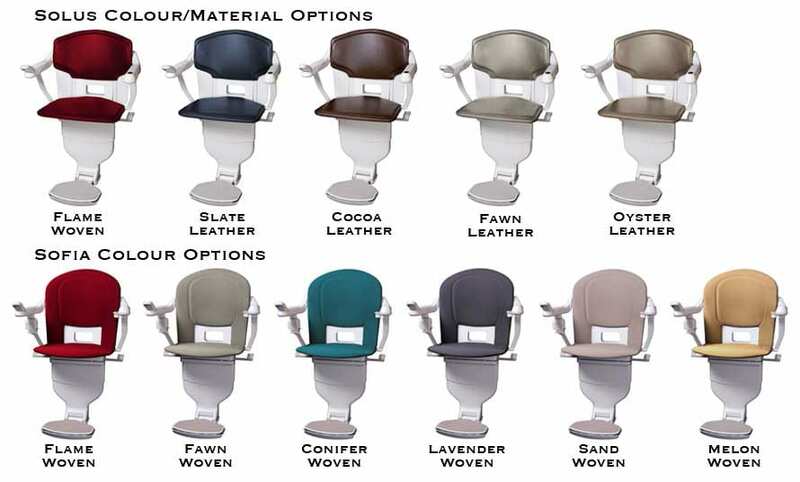 The seat offers a high degree of comfort and the stylish chair is beautifully upholstered in woven super-soft or vinyl fabrics in a wide range of colours. 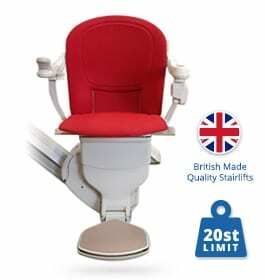 The stairlift comes with a host of distinctive user-friendly features, including a tiller-style control which will need only a nudge to take you smoothly up and down the stairs. The STANNAH-SOFIA-SL can be easily folded flat against the wall to allow others to use the stairs – and just as easily brought back into use with a simple and unique one-step unfolding action. Peace of mind about safety is important and the Sofia has an easy to use retractable lap belt among its safety features. 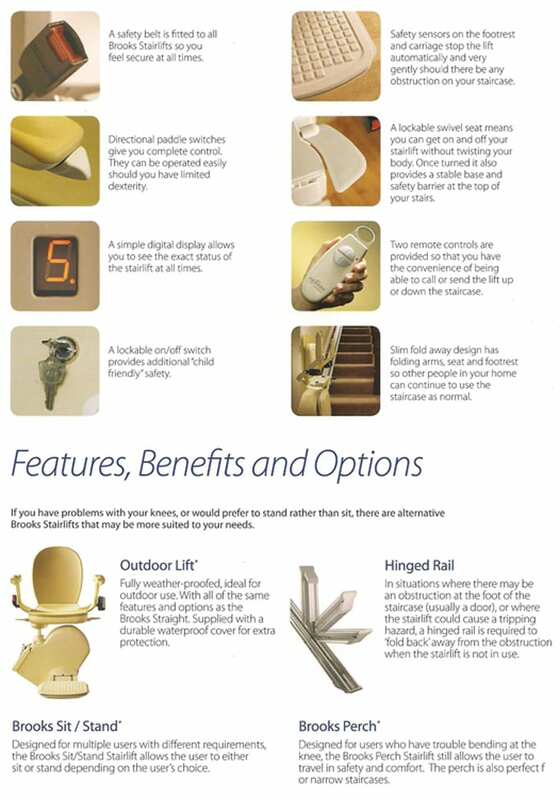 It also offers extra security with its special seat-load sensor which means it won’t move until you are safely seated. The STANNAH-SOFIA-SL is only available as a reconditioned stairlift, and is rigorously tested by engineers before it is fitted in your home. Unique one-step-folding – Means there’s no need for unnecessary bending the footrest seat and arms all fold up in one smooth motion.